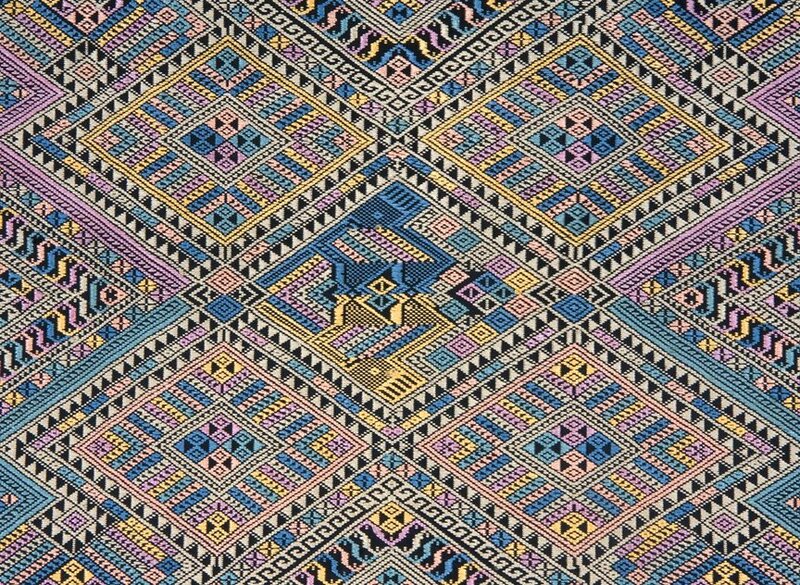 This week long tour is perfect for someone who is looking to either learn about or expand their knowledge on weaving techniques and the ikat process. It is suitable for beginners or experienced weavers. This tour has been designed to fit in with Singapore Airlines flights into Laos from Australia. ​Day 1 (Saturday) Your guide and private car will collect you from the airport when you arrive and assist you with hotel check-in. Your day is free to explore the local neighbourhood and get your first look at the nightly craft markets. Day 2 (Sunday) Your day starts at dawn when your local guide will take you to experience the sacred alms giving ritual that takes place every morning and sees hundreds of orange robed monks pass silently through town collecting alms from the locals. You will also take a walk through the fascinating morning market where the locals go to get their fresh produce each day. After breakfast your guide will then take you on a tour of Luang Prabangs sites including the oldest temple - Wat Visoun and the most beautiful temple of Wat XiengTong adorned in beautiful mosaics and stencilling. You finish your morning at the Traditional Arts & Ethnology Centre where you will get an insight into cultures of Laos, before enjoying a lunch of local delicacies. This afternoon you leave the town behind and head out to some of the weaving villages on the outskirts of town, where theres lots of opportunity to buy from the local weavers and cooperatives see how they weave their beautiful Lao silks. Days 3, 4 & 5 (Mon, Tues, Wed) Over these 3 days you will discover the secrets of traditional natural dyes and the techniques of ikat weaving. You will collect your dye stuffs from the garden, prepare the dye pots you will use to create your silk threads, then tie and dip your threads that you will use to create you own ikat piece. A master weaver will be at your side to assist you in your techniques and answer any questions you may have. Days 6 & 7 (Thurs, Fri) These 2 days are totally free for you to soak in the atmosphere of beautiful Luang Prabang, relax or explore the shops and markets scattered through the town. If you are looking for more hands on classes theres opportunity to take a different embroidery class, or try your hand at Katu backstrap weaving, paper jewellery making, traditional Lao bamboo weaving or perhaps immerse yourself in the Lao cuisine by taking a cooking class. Day 8 (Saturday) Today you leave Luang Prabang behind and drive into the mountains to the area around Nong Khiaw town, (around 3 hours north of Luang Prabang). Perched on the banks of the Nam Ou river this picturesque town is a great base to trek to local villages. After checking into your resort your guide will take your for a short trek to visit some local villages. Day 9 (Sunday) Today you make an early start so you can spend the day at a traditional Tai Lue village learning about how they create their unique cotton textiles. You will get to pick and process your cotton, learn about the dye process and try your hand at a traditional cotton floor loom. You return back to Luang Prabang this evening. Day 10 (Monday) Your tour ends this morning after breakfast. Check out time is 12 noon. Add-on's Additional nights in Luang Prabang or Tai Lue village. Inclusions: 9 nights accommodation; daily breakfast; 5 lunches; private guided city tour; all classes and workshops detailed in itinerary; private guide and driver into the mountain villages; arrival transfer; information pack.